"The five judges of the Kwani? 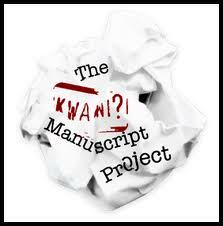 Manuscript prize 2013 have carefully worked through a longlist of 30. These showed a wide range of styles, subjects and regional concerns. The judges were primarily looking for works that show promise in terms of the writing itself as well as the breadth and depth pf vision brought to bear by the authors. The final shortlist of seven entries reflects the overall consensus of the judges and summarises their individual interests". "In reviewing the shortlisted stories, I'm blown away by the potential these manuscripts hold, the different styles, concerns and voices that they bring to new contemporary African literature, and further add to Kwani's fiction list. We can't wait to bring them out as novels in the region and partner with publishing houses across the continent to make them available across Africa".